Book a party with Fairy Elle: Actress, writer, face painter and mother. Fairy Elle has flown to us from another land to brighten your world with her never ending smile and her contagious energy. Elle is actively trying to be 'the very best children's entertainer.. ever.' She trains hard, evaluates and improves. Elle shows true dedication to her mission to be a True Fairy. You will meet Elle on the other side of the fairy camera, on YouTube as our official fairyland letter responder, or book her now for your next party! Her warm heart and open attitude is like magic for the kids! Book a party with Fairy Jasmine: No doubt the most talent we have seen in one young fairy. Singer, dancer, actress, model, gardener, extremely talented artist, face painter, beautiful inside and out. Jasmine has a special gift with children, they absolutely adore her, and you will too. Jasmine specialises in children's parties and events. Jasmine (Alias Taylah Grundy) is our official brand ambassador and you will see her on most of our promotional material. Meet her in person by booking her for your next party! 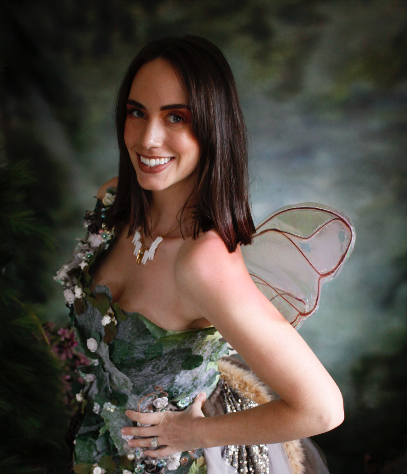 Book a party with Fairy Stardust: A fairy of exceptional talent you may find Portia on stage, planning and executing our school holiday programs or delivering a Steiner approach to her fairy parties. A true nature lover and fairy dedicated to enhancing the imaginary world of children. Acting for screen, Shakespeare, improvisation, physical theatre, voice & speech, clowning, mask, Meisner, Chekov, hula. Book a Fairy Cam session with Fairy Snow: Director and owner of True Fairies, lover of all things beautiful, mother of two, stage performer, singer and face painter. You will find Fairy Snow granting wishes on the other end of the fairy cam, leading the littles into wonder in story time, organising all programs, making crazy ideas come true and on stage at many community events. There is nothing that makes Fairy Snow more happy than to bring a little magic to everyone she meets. 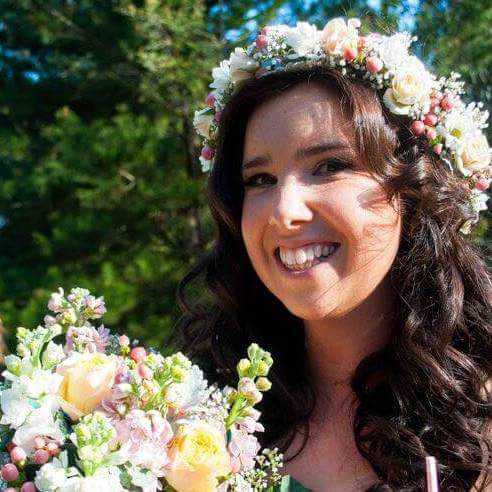 Book a party with Fairy Primrose: Primrose boasts a double Diploma in Theatre Arts and Children's serivce's, Primrose is an illustrator, a story teller, and a face painter. She is a puppeteering, hula hooping, acrobatic fairy. She also loves music and children's songs Primrose also does Teenage Hula hooping parties!! Book a Fairy Cam Session with Fairy Lucy (AUSLAN screen fairy): Lucy is not only an actress, singer, dancer, professional water skier and all round talent, she also has her Masters in Education Deaf Studies, and has worked for many prestigious schools in Melbourne. Lucy started acting and modelling at a young age. Mother of two, she has a natural rapport with children of all ages and all abilities. When Lucy is not acting you will find her baking, crafting and generally being creative with Education. Book a Fairy Cam Session with The Tooth Fairy: We are so lucky to know the REAL tooth fairy. So real that she was once a qualified Dental Nurse. Book a meeting with the Tooth Fairy on the Fairy Cam! We can meet you before or after your dentist appointment or we can even check out your wobbly teeth and ease any fears or anxieties. We love teeth! And we can teach your littles to love them too. Sci Westwood: Head mistress of True Fairies Academy. Sci is our acting, face painting and set design teacher. You will meet her at our fast paced corporate events. She conducts all of our workshops and is the sounding board for many of the magical things we create. Sci has had over 25 years in the industry, including theatre, singing, pottery, face painting, and millinery to name but a few of her talents.Sci sets the level for our talented fairies training them all in her style and competence.